Custom Pet Portraits by Robin Zebley: Comical Dog Portrait I painted, some really shady pooches! Comical Dog Portrait I painted, some really shady pooches! Want to see a fun portrait I recently painted? 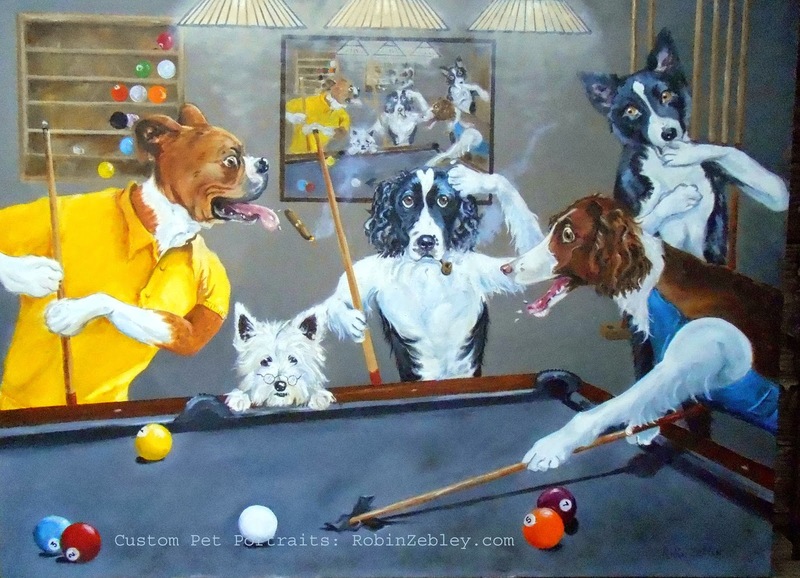 Here's a portrait a client ordered for her Billiard's Room, that used HER dogs as the pool players. And yes, that's my Sarge on the left, she asked me to include him, too! 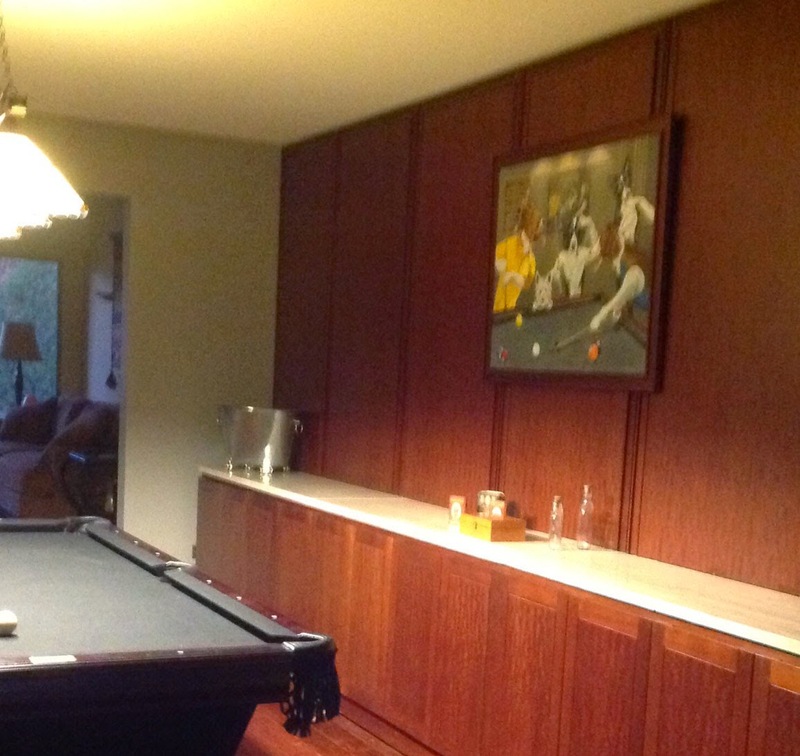 Group Pet Portrait, Oil on Canvas, 30" x 40"
And here it is in it's permanent home in the Billiard Room. See the "infinity" painting?